In a kingdom a long time ago, far far away. We meet the strangest people. All of them seek a form of power over the other. Some dream of better days, some want to yell at another for no real reason. Power over people can make you do weird things. When others are afraid of you, it has a strange effect. This comedy will bring you a play like it was done in the old days. 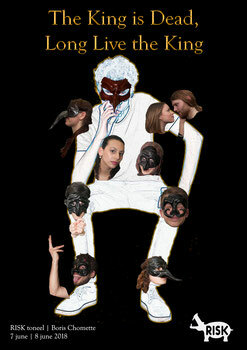 Commedia Dell’Arte. June 7th at 20:15 in "Theater 't Kapelletje, Rotterdam"
June 8th at 19:30 in "Erasmus Paviljoen, Rotterdam"